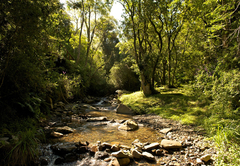 Rockwood Lodges is a 4 star graded property offering Karkloof accommodation for tourists and visitors of the Natal Midlands. 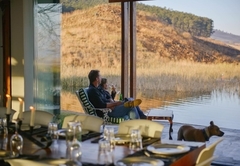 Rockwood Lodges offers award-winning luxury self-catering accommodation in the Midlands. 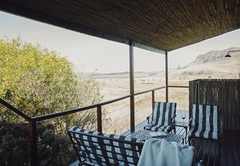 Escape the City and get back to basics, but don't compromise on luxuries - Rockwood Lodges is the place for your next holiday! 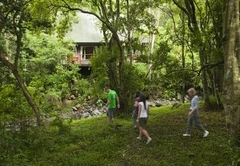 If you wish to stay in the Karkloof Nature Reserve, choose between Rockwood Forest Lodge and Rockwood Mountain Lodge. 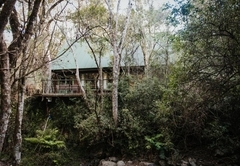 Rockwood Forest Lodge sleeps 6 - 8 people and is a fully electrified double storey log cabin situated on the banks of a stream in the indigenous forest. 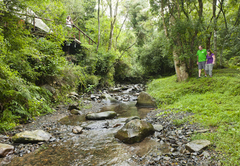 It is ideal if your family wants to get away from it all and go hiking up to the beautiful Godwini Falls or mountain bike down some slippery slopes. 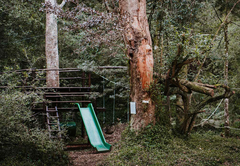 If you’d rather be a bit more central, there are two choices: Rockwood Farm Cottage or Rockwood Farm House, about 25m apart on the farm Spitzkop which is adjacent to the Karkloof Nature Reserve and as such, you have full access to the reserve. 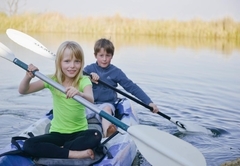 Both are perfectly positioned for your family to explore the Midlands Meander Route from or use as a base from which to participate in the Midmar Mile or Karkloof Classic Races held in the area each year. Yet, despite being close enough to Howick for a quick drive, it’s still incredibly peaceful and remote and the ideal venue from which to watch cows graze in the late afternoon sun. All lodges have an iPod docking station. 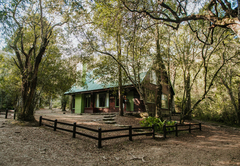 Rockwood Forest Lodge and Rockwood Farm House and Cottage also have DSTV (selected channels available) as well as Blu Ray DVD players with selected titles. 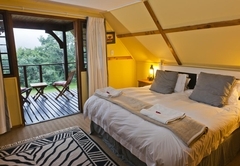 Each of the two lodges in the Reserve has three bedrooms and two or three bathrooms for six to eight guests (one king-size and four to six single beds), fully equipped kitchen with fridge/freezer, microwave (Rockwood Forest Lodge only) and cutlery and crockery for 6 - 8 people. 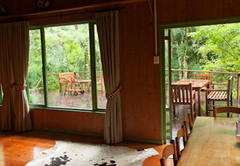 All rooms have heaters, tea / coffee, insect repellent, soap, shampoo and linen. 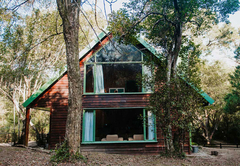 Rockwood Farm Cottage has two bedrooms and two bathrooms and can sleep up to four people. 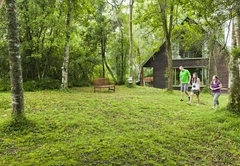 It has a fully equipped kitchen with fridge / freezer, microwave and cutlery and crockery for 4 people. 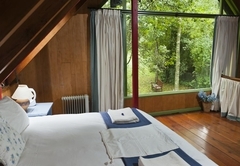 All rooms have heaters, tea and coffee making facilities, insect repellent, soap, shampoo, and linen. 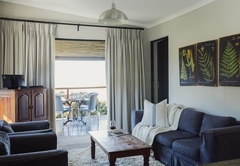 Rockwood Farm House has four bedrooms, three bathrooms, a fully equipped self-catering kitchen with fridge/freezer, microwave and cutlery for 8 - 10 people. 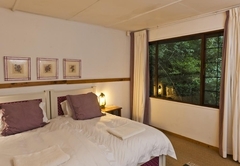 All rooms have heaters, tea and coffee making facilities, insect repellent, soap, shampoo and linen. 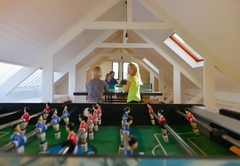 All accommodation is serviced on a daily basis. 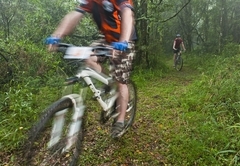 The Karkloof is excellent MTB country and host to the biggest mountain-biking event in South Africa, the Karkloof Classic Race. We’d gladly book a guided tour for you with Hylton Turvey, the race designer. 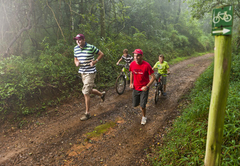 Alternatively, explore the area on your own through a series of self-guided trails in the private Karkloof Nature Reserve. 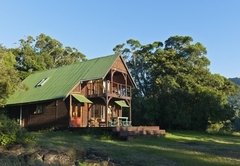 As this kicks off within our reserve, we’ve negotiated a 15% discount for guests of Rockwood. A must-do on your holiday itinerary! 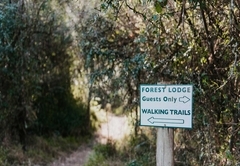 Bring good hiking gear and you’ll be able to explore the reserve fully as you work your way between mistbelt forest and grassland, up and down steep inclines and over slippery rocks. Just chill out and take a leisurely stroll along some romantic farm roads…You choose. 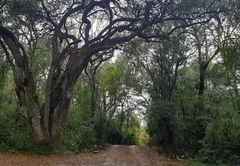 The area has several rare and endemic species of birds and is listed in the Roberts CD. 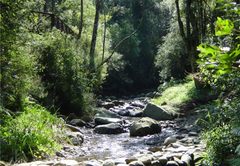 Birding on the forest fringes and streams can offer some excellent rewards to birders. 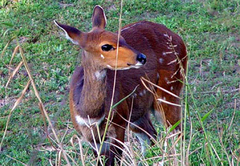 Some of the more elusive species found are the Cape Parrot, Narina Trogon, Crested Guinea Fowl (sub-species) and the Crowned Eagle. 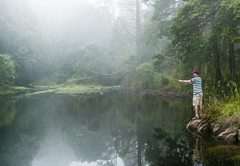 There are several weirs and dams within and adjacent to the reserve which are well stocked with rainbow and brown trout. Bring your own rods. 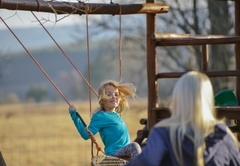 Watch your kids be kids on the trampoline or jungle gym. 3 bedrooms (1 x King, 2 x Twin) for 6 guests. 3 x bathrooms (1 x en-suite shower, 2 x bath). 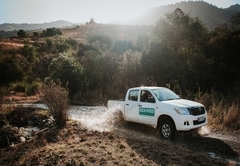 ; Access 4x4 high clearance only. Transfer upon request. 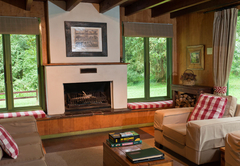 4 bedrooms (2 x King, 2 x Twin) for 8 guests. 3 bathrooms (1 x indoor bath, outdoor shower, 2 x shower and bath). Unfenced dam and dogs on property. 2 Bedrooms (1 x King, 1 x Twin) for 4 guests. 2 en-suite bathrooms (1 x bath and outdoor shower, 1 x bath and indoor shower). Unfenced dam on property. 3 bedrooms (1x King, 2 x Twin) for 6 guests. 2 x bathrooms (1 x shower and 1 x bath). Gas and Solar Powered. Access 4x4 high clearance only. Transfer upon request. Felt like we were staying in a 10 Star place!! PS: a special thanks for the lovely bottle of bubbly on new year's, as well as the biscuits, milk & red wine on arrival - lovely touch! Response timeRockwood Lodges typically responds to requests in 5-10 minutes.